[i am a dekaphobic]: 2nd Anniversary Giveaway #1: Manang's Chicken! This giveaway runs until July 17, 2013. The winner will be announced on July 21, 2013. Good luck and stay tuned for more giveaways! Happy anniversary to your blog!!!! Hi Mitchy!! Happy 2nd Anniversary!! Happy 2nd blog anniversary! More power to Dekaphobe. Way to go! Congrats advnce hapi 2nd! Eto lng ung manangs na sodyal c manang kasi sa office mura lng haha! I like the Soy Garlic Chicken . Garlic Pork and their Potato Chips! I like the original Manang's chicken and their Manang's Chips and Dip. Definitely the soy garlic chicken! I like Manang's Chicken Original! Happy blogniversary po ... :) congrats! I love their Soy Garlic Chicken! I love their Soy Garlic Chicken Cuts with mild spicy sauce Ultimate Crispy Chicken Sandwich and chips & dips with creamy cheese! more power po! happy 2nd blog anniversary! Soy garlic chicken! :) Happy Anniversary! My favorite is the Ultimate Crispy Chicken Sandwich! Happy 2nd Anniversary! Way to go! What's your favorite Manang's Chicken item? Their Manang's Chicken Original! Very yummy and tasty! I want to try it here at Wilcon City Center, Visayas Avenue! Let me greet you a happy 2nd year anniv! 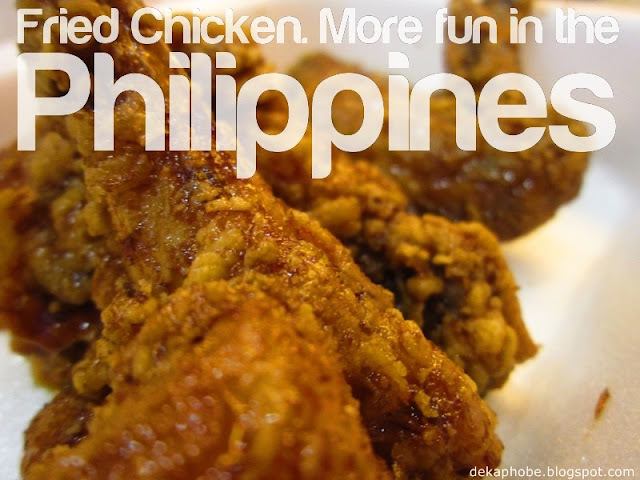 I want to try Manang's Chicken in Glorietta! My favorite Manang's Chicken item is the 2pcs Chicken Cuts. Lov eit.. I like the Manang's Chicken Original! Hope to win those GCs ehehe and Happy 2nd Anniversary always love Chicken!!! By the way my email is shenbrood16 at gmail dot com and my nearest branch would be near Ortigas Center. What's your favorite Manang's Chicken item? I love Manang's spicy chicken. I would love to try Manang's chicken!